The Pakistan Super League (PSL) is one of the premier leagues from across the globe. It is one of the most successful leagues and a great way to revive cricket in Pakistan. It also draws up some great attention from fans and experts all around the world. With the third season of the Pakistan Super League just about a week away, the expectations among the spectators are sky-rocketing. Also, the addition of a new team, the Multan Sultans will notch up the intensity of the league to a much higher level. Superstars from different countries will want to exhibit their talent in the league and some will also look to make a comeback to the national team through this league. Peshawar Zalmi will go into this season as the defending champions. 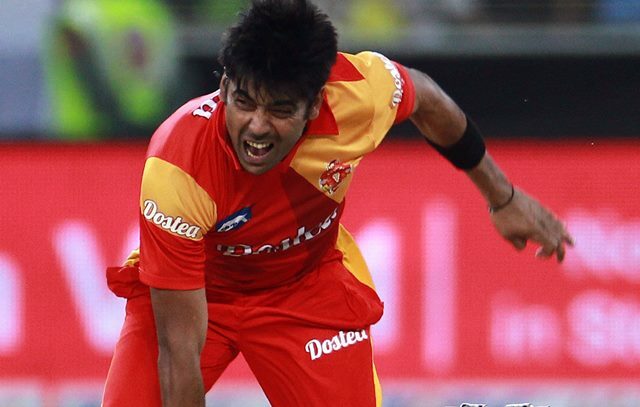 For any franchise to be successful in a T20 league, the bowlers play a crucial role. With T20 evolving more as a batsman’s game, it is important for bowlers to reinvent themselves and add new weapons to their arsenal. In such a scenario, let us have a look at the top bowlers in the PSL. The veteran Pakistani left-handed bowlers is on the top of the list of highest wicket-takers. He picked 30 wickets in the two seasons that he has played so far. With him being one of the consistent performers in PSL, his franchise Peshawar Zalmi retained him this season. Riaz enjoys the ability to unnerve batsmen with his bounce and variations resulting in wickets on the trot. His fiery spell against Shane Watson in the 2015 Cricket World Cup speaks loads about the talent he possesses. He played 19 matches in the PSL so far to pick as many wickets. Although he has been in and out of the Pakistan team, Peshawar franchise will hope for him to utilize his talent to the best of his ability. Riaz also played a crucial role in Peshawar Zalmi’s triumph to the title last year.